James Joseph Heckman (born April 19, 1944) is an American economist and Nobel laureate. He is the Henry Schultz Distinguished Service Professor of Economics, Professor of Law at the Law School, and director of the Center for the Economics of Human Development at the University of Chicago, a senior research fellow at the American Bar Foundation, and a research associate at the National Bureau of Economic Research. Heckman shared the Nobel Memorial Prize in Economics in 2000, with Daniel McFadden, for his pioneering work in econometrics and microeconomics. He is considered to be among the most influential economists in the world. Heckman was born to John Jacob Heckman and Bernice Irene Medley in Chicago, Illinois. He received his B.A. in mathematics from Colorado College (1965) and his Ph.D. in economics from Princeton University (1971), under the supervision of Albert Rees. He served as an assistant professor at Columbia University before he moved to the University of Chicago, in 1973. In addition to serving as the Henry Schultz Distinguished Service Professor and director of the Economics Research Center in the department of economics, Heckman is also a professor of law at the Law School and a professor in the Irving B. Harris School of Public Policy at the University of Chicago where he is the director of both the Center for Social Program Evaluation and Center for the Study of Childhood Development. He also serves as a member of the Becker Friedman Institute for Research in Economics's Research Council. Heckman has held many appointments at other institutions and notably served as the Distinguished Chair of Microeconometrics at University College London (2004-2008), a Professor of Science and Society at University College Dublin (2005-2014), and as the Alfred Cowles Distinguished Visiting Professor at Yale University (2008-2011). His current appointments include Presidential Scholar-in-Residence at the University of Southern California's Leonard D. Schaeffer Center for Health Policy and Economics (2015-) and International Research Fellow at the Institute for Fiscal Studies (2014-). Founded in 2014 and directed by Heckman, the Center for the Economics of Human Development (CEHD), at the University of Chicago, umbrellas his multiple research areas and initiatives that encompass rigorous empirical research to determine effective human capital policies and program design. CEHD initiatives include the Human Capital and Economic Opportunity Global Working Group, the Pritzker Consortium on Early Childhood Development, the Heckman Equation, the Research Network on the Determinants of Life Course Capabilities and Outcomes, and the Asian Family in Transition Initiative. 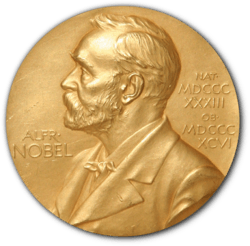 Heckman is noted for his contributions to selection bias and self-selection analysis, especially Heckman correction, which awarded him the Nobel Prize in Economics. He is also well known for his empirical research in labor economics, particularly regarding the efficacy of early childhood education programs. His work has been devoted to the development of a scientific basis for economic policy evaluation, with special emphasis on models of individuals and disaggregated groups, and the problems and possibilities created by heterogeneity, diversity, and unobserved counterfactual states. He developed a body of new econometric tools that address these issues. His research has given policymakers important new insights into areas such as education, jobtraining, the importance of accounting for general equilibrium in the analysis of labor markets, anti-discrimination law, and civil rights. He demonstrated a strong causal effect of the Civil Rights Act of 1964 in promoting African-American economic progress. He has recently demonstrated that the high school dropout rate is increasing in the US. He has studied the economic benefits of sorting in the labor market, the ineffectiveness of active labor market programs, and the economic returns to education. His recent research focuses on inequality, human development and lifecycle skill formation, with a special emphasis on the economics of early childhood education. He is currently conducting new social experiments on early childhood interventions and reanalyzing old experiments. He is also studying the emergence of the underclass in the US and Western Europe. In the early 1990s, his pioneering research, on the outcomes of people who obtain the GED certificate, received national attention. Heckman has published over 300 articles and several books. His books include Inequality in America: What Role for Human Capital Policy? (with Alan Krueger); Evaluating Human Capital Policy, Law, and Employment: Lessons from Latin America and the Caribbean (with Carmen Pages); the Handbook of Econometrics, volumes 5, 6A, and 6B (edited with Edward Leamer); Global Perspectives on the Rule of Law, (edited with R. Nelson and L. Cabatingan); and The Myth of Achievement Tests: The GED and the Role of Character in American Life (with John Eric Humphries and Tim Kautz). He is currently co-editor of the Journal of Political Economy. He is also a member of the National Academy of Sciences (USA) and the American Philosophical Society. He is a fellow of the American Academy of Arts and Sciences, the Econometric Society (of which he is also former president), the Society of Labor Economics, the American Statistical Association, and the International Statistical Institute. Heckman has received numerous awards for his work, including the John Bates Clark Medal of the American Economic Association in 1983, the 2005 and 2007 Dennis Aigner Award for Applied Econometrics from the Journal of Econometrics, the 2005 Jacob Mincer Award for Lifetime Achievement in Labor Economics, the 2005 Ulysses Medal from the University College Dublin, the 2007 Theodore W. Schultz Award from the American Agricultural Economics Association, the Gold Medal of the President of the Italian Republic awarded by the International Scientific Committee of the Pio Manzú Centre in 2008, the Distinguished Contributions to Public Policy for Children Award from the Society for Research in Child Development in 2009, the 2014 Frisch Medal from the Econometric Society, the 2014 Spirit of Erikson Award from the Erikson Institute, and the 2016 Dan David Prize for Combating Poverty from Tel Aviv University. Heckman is married to sociologist Lynne Pettler-Heckman with whom he has two children: a son, Jonathan (b. 1982) who is a physicist at University of North Carolina at Chapel Hill, and a daughter, Alma (b. 1986), who is an assistant professor of history at the University of California at Santa Cruz. ↑ "Nobel laureate James Heckman joins USC Schaeffer Center". 1 2 "Prof. Heckman's profile at the UC Law School". ↑ Hanford, Emily; Smith, Stephen; Stern, Laurie (2013-09-01). "Second-Chance Diploma: Examining the GED". American Radio Works. publicradio.org. Retrieved 2015-03-03. ↑ Heinrich, Carolyn (1995). Public policy and methodological issues in the design and evaluation of employment and training programs at the service delivery area level (Ph.D. Thesis). Chicago: University of Chicago. OCLC 34522177. ↑ "James J Heckman profile on academictree.org". academictree.org. academictree.org. Retrieved 2015-12-04. ↑ "Professor James Heckman | Center for the Economics of Human Development | The University of Chicago". cehd.uchicago.edu. Retrieved 2016-03-24. ↑ Author. "RePEc". Ideas/Repec. Retrieved 2016-03-24. 1 2 "James J. Heckman". The Notable Names Database. 2008. Retrieved 2008-11-18. ↑ Overtveldt, Johan Van (2007). The Chicago School: How the University of Chicago Assembled the Thinkers Who Revolutionised Economics and Business. Chicago: Agate. p. 132. ISBN 978-1-932841-14-5. ↑ "James J. Heckman | University of Chicago Law School". www.law.uchicago.edu. Retrieved 2016-03-24. ↑ Gersema, Emily (2015-06-19). "Nobel laureate James Heckman joins USC Schaeffer Center". USC News. University of Southern California. Retrieved 2016-03-24. 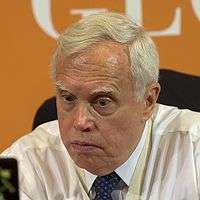 ↑ "James Heckman - Institute For Fiscal Studies - IFS". www.ifs.org.uk. Retrieved 2016-03-24. ↑ "Alma Heckman's website at UC Santa Cruz". James J. Heckman (1944– ). The Concise Encyclopedia of Economics. Library of Economics and Liberty (2nd ed.). Liberty Fund. 2008.